Do you remember how couple of months ago the hyped Ubuntu Edge smartphone project failed to take off, as it couldn’t reach the $32 million crowd funding target? Well, many of us have ideas but very few have the resources to get it executed. The idea of crowd funding, use of small amounts of capital from a large number of individuals to finance a new business venture, is common in the US but for us here in India, it was like rocket science. We all saw how the Aam Aadmi Party got themselves fully funded just before the Delhi elections – the donations they got was a form of crowdfunding only. Also, just a few platforms like NCFA India, Start51, Wishberry, IgniteIntent are ensuring the sparks remain alive. Now there is a fresh entry. 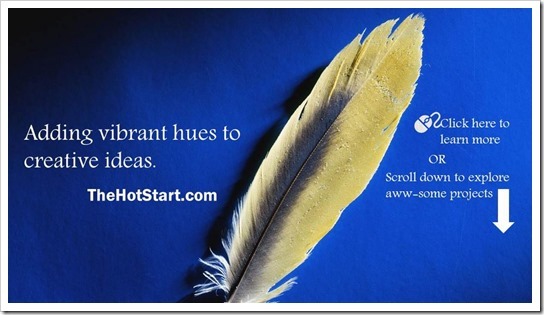 The Hot Start has just launched India’s freshest crowdsourcing platform. Given the success of crowdfunding growing by leaps and bounds in the United States, such a platform can really benefit the vast number of creative people in India, who often cannot successfully launch their own projects due to the lack of funds. Crowdfunding is anticipated to grow heavily from about USD 1.5 billion to over USD 5 billion by 2017 and this is one step closer to make India join the revolution. Who? With the core team comprising of Rajat Das and Janani Krishnan, TheHotStart was founded with one aim to ensure your dreams are fulfilled and not lost for want of funds. How? TheHotStart provides a platform through which Community Members can become ‘Evangelists’ of projects (posted by ‘Project creators’ or ‘Creators’ or ‘Innovators’) by funding them, or contributing their time or skills. The Project creators offer unique rewards in exchange for this support. In addition, the platform also provides you with an opportunity to build a community around your project, promoting it on the platform and on linked social media sites, to your friends, family and Evangelists. So anybody who had a great idea can simply register their project with a few details on the website. Within 48-72 hours the project gets reviewed. And then for 10-14 days regular feedback and suggestions are provided by the evaluation team. Post this, the real crowdfunding happens – from 14 days to 90 days when the project is open. And your project can be as diverse as from the field of Art to Food to Tech to Writing! What’s different? TheHotStart allows two models of funding – the first is called Almost All or Nothing (AAN) – which TheHotStart is pioneering in India. And the second is called Flexible Funding (FLEX). AAN ensures that the project related risks from partial funding of projects are reduced significantly and the funding levels are such that project execution strategies remain viable. Under the FLEX funding model, there are no minimum limits in terms of commitments required before actual funds can be contributed to a project. Any fineprint? Nothing actually. There is no onboarding or registration fee in case TheHotStart accepts your project. TheHotStart will only take a percentage of the final amount raised in case your project achieves full funding or gets over funded. Also, supporting a project doesn’t entail the evangelist for any right or stake in the project. This is one excellent move towards crowdfunding in India. We need more and more such platforms and shout outs so that the idea ka keeda in your mind becomes a reality and every entrepreneur worth his salt out there gets a chance to prove his might! We are committed to transparency and compliance and that’s one of the main reasons why the biggest non-profits/Charity and events in India prefer Raiseforhelp.com. Almost all other crowd funding websites receive donations in their own account first, deduct 6 to 15% amount and takes 5 -10 days time to further credit the amount in your account. Online fundraising is the fastest growing segment of personal giving and Raiseforhelp can help you tap into this rapidly growing market in unique, value-added ways. Yes. Crowdfunding is gaining momentum in India and in over all Asia. People using crowdfunding for different purposes like for social cause. Not only the more campaigns are launching but people also respond well and back lot of creative projects.